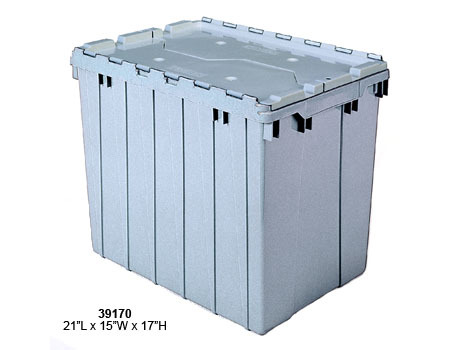 These attached lid plastic tote bins from Akro-Mils are great for many industrial operations including distribution, order picking, transportation, storage and many more. The attached lids snap securely closed and feature holes to use with tie-downs to keep your valuable merchandise from leaking or theft. 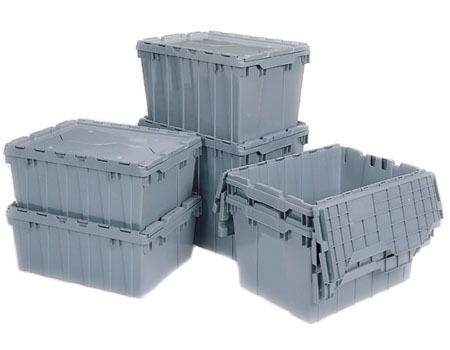 Nestable and stackable, these totes are ready to use when you need them. 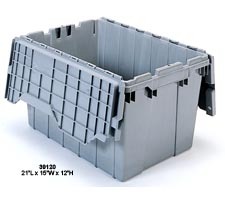 Standard color for attached lid totes is grey. 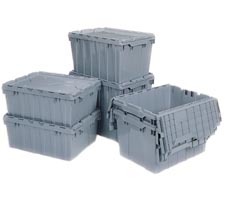 Nestable and stackable for easy storage. 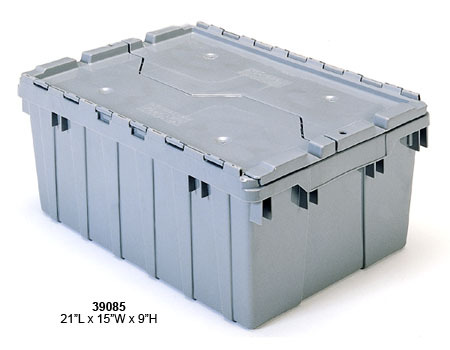 Containers interwork for easy pallet loading. 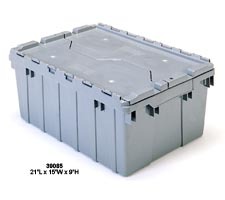 Reinforced, all plastic hinges makes totes lighter. Textured bottoms provide a sure grip on conveyor belts. 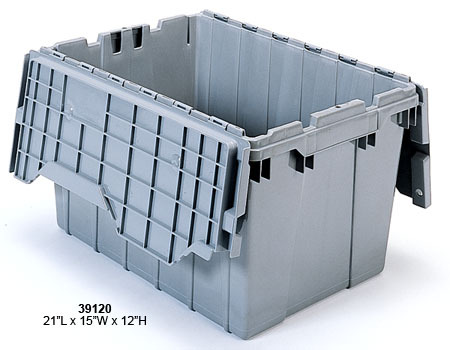 Strong molded-in handles are ergonomically designed for easy lifting and carrying. Padlock eye on both ends accommodates locks or security ties. 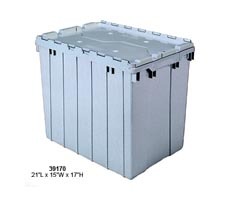 Safe & secure totes for distribution, transportation or storage applications.